Starting typing at your keyboard, and no sooner have you got the words ‘human rights’ out, Google will suggest you’re asking about the Human Rights Act. In fact, it’s one of the most asked human rights questions on the internet. We’ve got loads of resources on the Human Rights Act, but sometimes you just want a quick answer to a quick question, right? 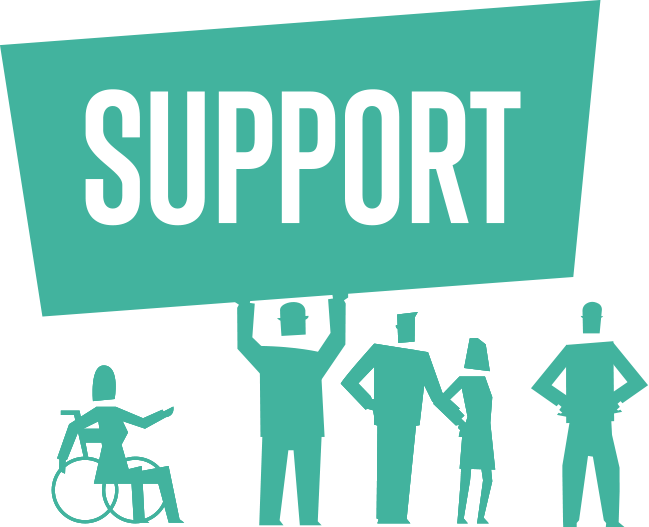 The Human Rights Act is a law in the United Kingdom which brings the Human Rights Convention into force. It was passed in 1998, but didn’t actually apply until 2000. Yeah, we know, law is weird. It was part of Labour’s 1997 manifesto to “bring the Convention home”. By making human rights part of our own laws, it means we don’t have to go to the Human Rights Court in Strasbourg. Instead we can bring court proceedings right here in the UK. Bringing human rights home also directly protects us from the state, as it applies to all public authorities. This includes things like the right to life, the rights to liberty and security, the right to a fair trial and freedom of expression. Our domestic courts have to interpret all the other laws in the UK in a way that works with the Convention. But, if think that’s impossible, they can make a declaration of incompatibility. This doesn’t invalidate the law or anything, but gives Parliament a quicker way to fix the problem. There are a lot of things the Act has done that you wouldn’t expect, like reuniting families and providing justice for their loss. Go on, take a closer look, you know you want too. When Were People Interested in the Human Rights Act? It’s fair to say people have been consistently interested in the Human Rights Act, but it does vary over time. Time to dust off the graphs! According to Google Trends, over the last year, the Human Rights Act 1998 was most searched for in the week of 21-27 August 2016 – coincidentally just about the time then Justice Secretary Liz Truss confirmed she’d be scrapping it. Don’t panic, the Conservative Manifesto has since put these plans on hold until after Brexit. Looking a little closer to now, we can see the the Act received a lot of attention on 7 June, just after PM Theresa May said she’d change human rights laws to impose restrictions on terrorists. 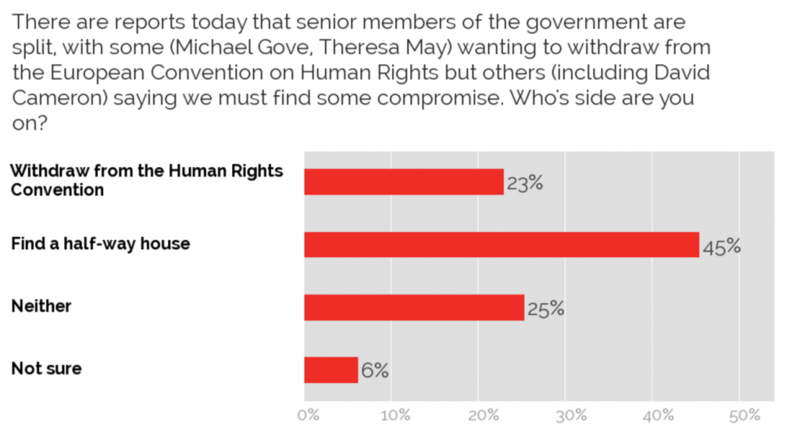 A huge surprise from YouGov is that, just a few weeks before May’s speech, 62% of people said that breaking human rights laws couldn’t justify protection of political or economic interests. 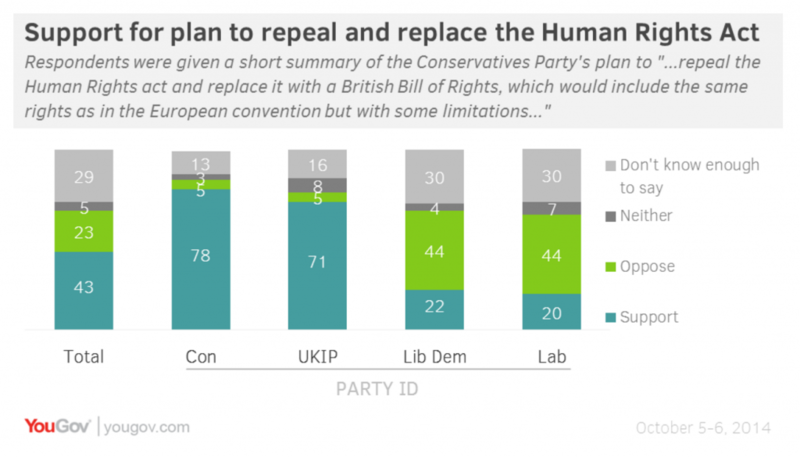 When the Conservative Party first floated plans to replace the Act with a British Bill of Rights, it was a move strongly favoured by both the party and UKIP, but was opposed (just not as strongly) by the Liberal Democrats and Labour parties. 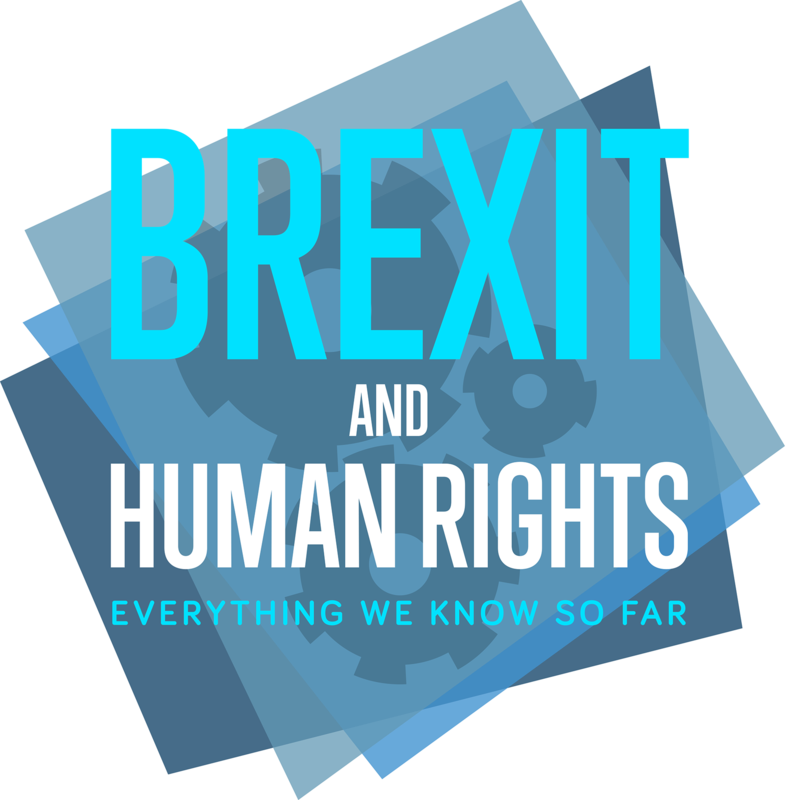 While both of the two groups do agree on some rights which should be protected (thankfully, no one is on board with the idea of torture), there is a lot of disagreement about the Human Rights Act, and whether the UK or European Courts should enforce the rights. About a year later, following reports that the Conservative government was split on whether to withdraw from the Convention or find another way, the largest majority agreed that another way was best. That’s not say any of this is clear cut though. Bright Blue, a liberal Conservative think tank have just launched a campaign to make ‘Britain the Home of Human Rights’, while Labour and the Liberal Democrats said in their manifestos they’d be keeping the act. Add to this the fact Theresa May’s majority in the House of Commons has all but collapsed following the General Election. Either way though, it’s all a bit touch and go, so best to be in the know! Who is Actually Interested in the Human Rights Act? The statistics tell us that 18-24 year old men in London, usually in the legal profession, are the most interested in human rights law. But, those aged 40-54 and those from Yorkshire aren’t really interested in human rights. The Yorkshire group is a bit of a surprise, given that York was just named the country’s first Human Rights City earlier this year. The Act has done a lot that wasn’t expected of it when it became law nearly 20 years ago. Ultimately though, it protects the rights that we all agree should be protected, despite our politics. At the end of the day, we only differ on which court should have the ultimate say. Given that the conversation on how we protect our rights is still ongoing though, it’s more vital to be informed than ever before.